Six common species of garnet are classified according to their chemical composition. These species are pyrope, almandine, spessartite, grossular, uvarovite and andradite. One of the rarest of all the garnet varieties is andradite, the calcium iron garnet. It has the highest refractive index of all the garnets (1.89 to 1.94). The most famous of the andradite garnets is the very rare demantoid, which has a name meaning "diamond-like luster." In fact demantoid is among the rarest and most expensive of all colored gemstones. Andradite was named after the Portuguese mineralogist José Bonifácio de Andrade e Silva (1763-1838). He discovered and described four minerals during his life, including spodumene and petalite. Working as a geology professor in Portugal, he spent many years in the Portuguese colony of Brazil. When the independence of Brazil was declared, Andrade was made minister of the interior and of foreign affairs. The andradite species includes two other rarely-seen varieties; the yellow topazolite and the black melanite. Melanite is an opaque black stone with a very attractive sub-adamantine to vitreous luster. At one time it was rarely faceted as a gemstone. 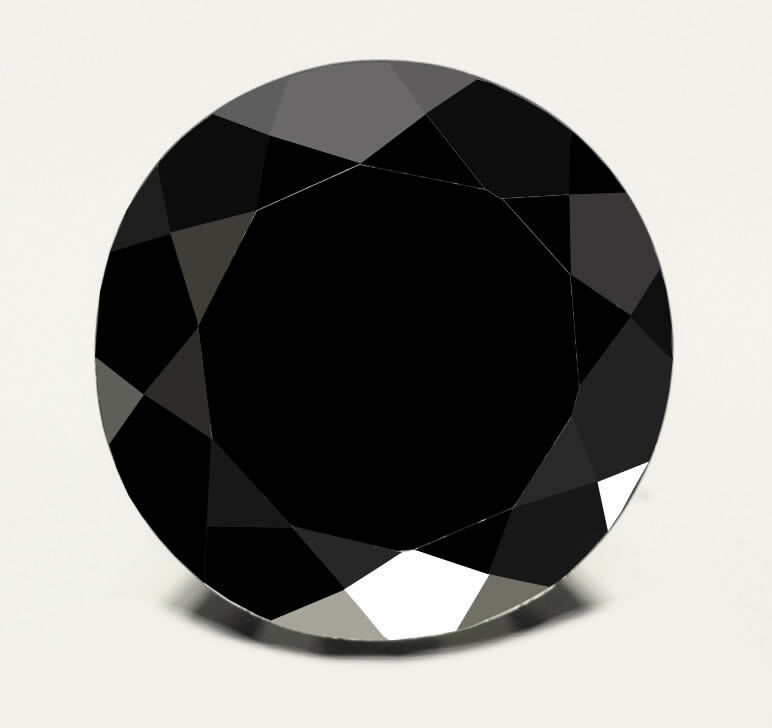 However, with the interest in black diamond, and the general scarcity of black gemstones, melanite has become a popular jewelry gemstone. The black color of melanite is the result of titanium replacing some of the iron in its composition, and melanite is sometimes known as titanian andradite. Since garnet has excellent gemstone characteristics - good hardness and luster with no distinct cleavage - melanite is a versatile gemstone that can be used in rings, pendants, earrings and bracelets. It is also fairly inexpensive, selling at approximately the same price as black tourmaline. It is a very good alternative to more expensive gems such as black sapphire and black spinel, and superior to less expensive black gems such as onyx and jet. I will continue to utilize gemselect in my business as a jeweler. Awesome variety of genuine, natural gemstone at affordable prices. Go Gemselect and Stop being cheated on amazon and eBay!!! Great, easy to use, efficient!